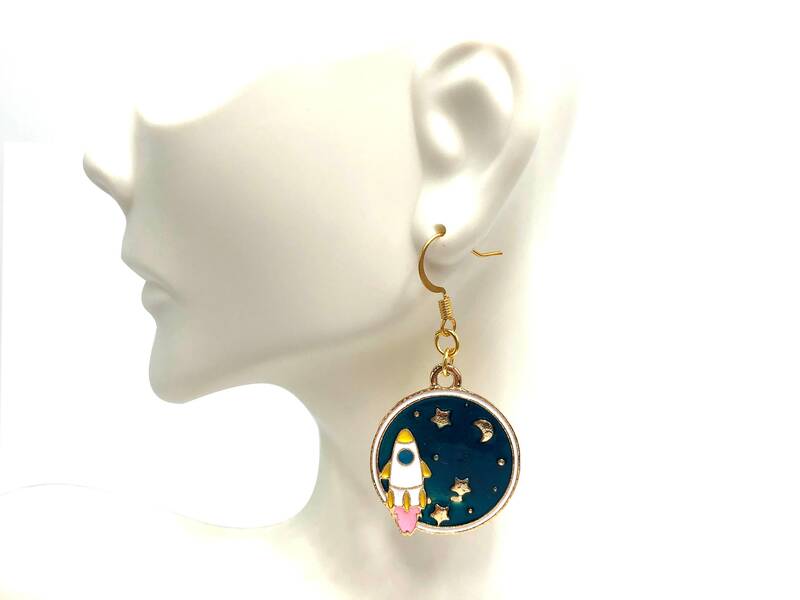 Space travel in these beautiful resin drop earrings. Lead and nickel free. Stainless steel and brass ear wire. Metal is gold tone.